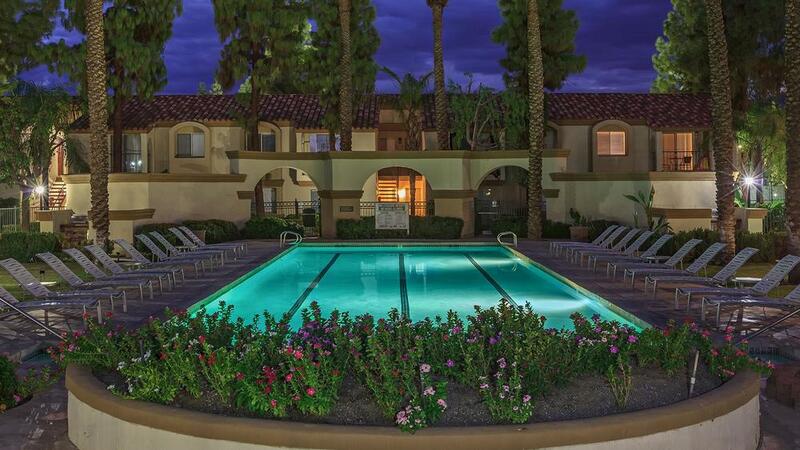 Located in one of the most exclusive and beautiful locations in Palm Desert, California, The Regent Palm Desert Apartment Homes invites you to enjoy a new dimension of resort style living unsurpassed by others. Reflecting a passion for simplicity and elegance, our apartment homes present a compelling portrait of refined apartment living in Southern California. Two stunning floor plans, incredibly attractive amenities, excellent schools and world-class shopping and dining are only a few of the many advantages that The Regent Palm Desert Apartment Homes can offer you! Visit our photo gallery or schedule a private tour today to discover the life that you’ve been searching for! Now in two designer appointed renovation packages! Check out a 360 degree tour of our 2 bedroom model! CLICK HERE TO EXPLORE THE AREA ON YELP!